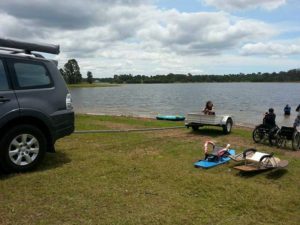 The Lake Kurwongbah Water Ski Zone Inc has been holding a biannual Charity Ski Day since 2001. Charities including Sporting Wheelies Association, Make A Wish Foundation and Mates 4 Mates are invited to attend and participate at no charge. Members provide tubes, ski gear and adaptive ski equipment so that everyone can participate regardless of their medical condition. The club also puts on a bbq lunch for the participants and their families. The club has also built an adaptive trailer to help get paraplegic and quadriplegic skiers into the water safely. 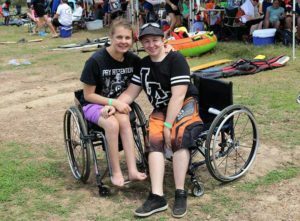 A number of participants at these days have become interested in waterskiing and gone on to compete for Queensland and Australia in their divisions. Unlike other sports for those with a disability, water skiing is something that all members of the family can participate in together. We love our Charity Ski Days and will continue to run them biannually in March and October.